Hipsters get a bad rap. I mean sure, a lot of it is their own fault. I mean what are they thinking when they serve sandwiches in plastic dust pans and use mason jars for just about everything? But there are some things that they do right. And coffee is one of them. Seriously, a hipster will make the best latte if you just stay out of their way. Hipsters are so good at making coffee that I used to abhor the stuff until I went to a hipster cafe with a former boss of mine. I was instantly in love. And this guy's latte art work is just making me fall deeper and deeper in love. These gorgeous works of caffeinated art are created by Kangbin Lee. 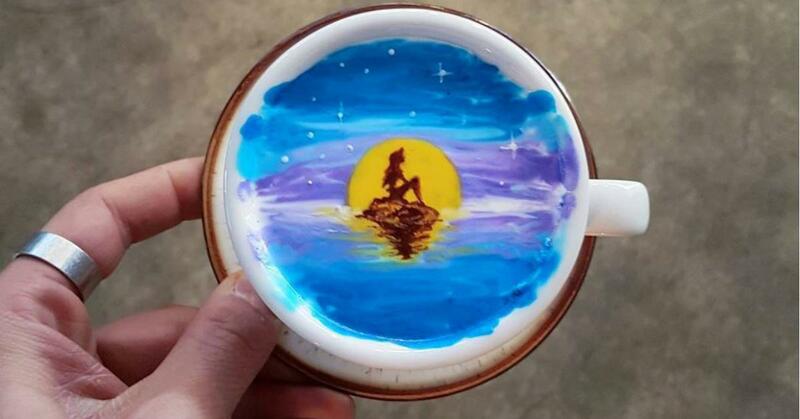 The Korean latte maestro's snapping photos of his stunning cups of artwork and putting them on Instagram. The stuff that he's capable of with just a cup of coffee is absolutely jaw-dropping. He's also not afraid to mend different textures and toss in some extra details to pull his pieces together. Seeing these lattes is giving me some serious hipster ideas, like setting up a drinkable art exhibit somewhere in Williamsburg. $100 for a cup of coffee designed by the man himself. Snap a photo, then record yourself drinking the work. It'll be some statement on the fleeting nature of genius, or something like that. But genius definitely isn't an overstatement, because these are seriously cool. This guy should get a lifetime barista achievement award or something. I mean, c'mon, a friggin' penguin latte? Sign. Me. Up.